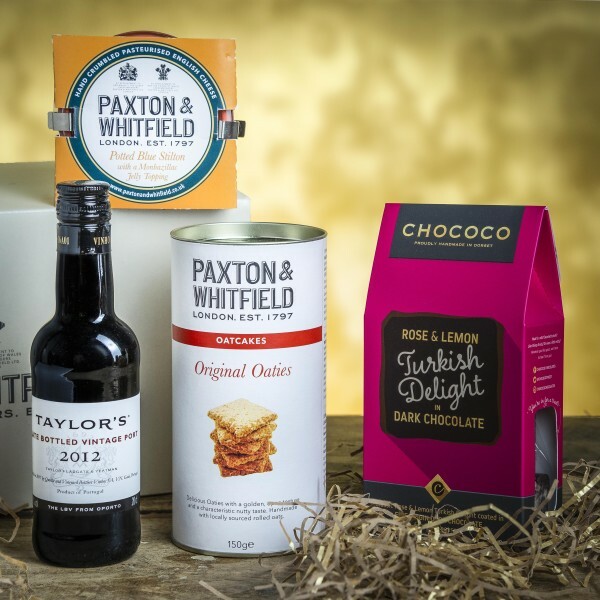 The perfect way to finish off a meal, this selection contains the perfect pairing of Port and Stilton, and other treats to enjoy after dinner. Perfect for creating the your own gift hamper. Internal dimensions approx: 31cm wide x 16cm deep x 15cm high. Delicate and aromatic Rose & Lemon flavoured Turkish Delight direct from Turkey, smothered in Chococo's 67% Madagascan Dark Chocolate.